Bundle up and join us for our 10th Annual Snowflake Shuffle 5K. 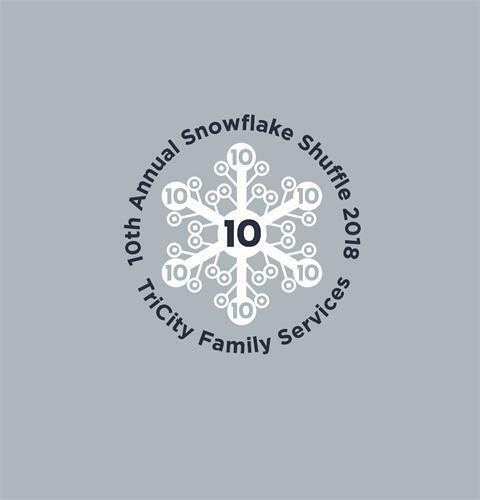 The winter-themed event is a USATF-certified and chip-timed race to raise money and awareness for TriCity Family Services' mission: providing affordable, compassionate counseling and mental health services to community members of all ages and across all income levels. The Snowflake Shuffle has a NEW HOME for its 10-year anniversary ... Gunnar Anderson Forest Preserve in Geneva ... and will provide all the fun, family-friendly, festive atmosphere as in years past. Rumor has it Santa may even put in an appearance this year! Come kick off the holiday season and form a team of family and friends. All ages are welcome! Creative costumes are encouraged! Awards for largest team, best costume, and most spirited. In addition, custom participation medals for all who register, plus custom age awards. After the race, please join us for recovery treats and hot chocolate ... and the awards presentation!